Well it was only a matter of time until Milan made it official, but David Beckham will in fact rejoin the powerhouse squad in January and, who knows, maybe the star Englishman can give Leonardo’s squad that extra push to make them a serious Serie A contender. The club made the announcement over the weekend on their website that the LA Galaxy midfielder would play midfield for the squad when the transfer window opens up in January and all parties involved should be ecstatic that Becks will be once again in a Milan uniform, but most excited of all should be David Beckham himself. Becks knows that if he wants to hoist a World Cup (his last chance by the way) this summer then playing in Europe was his only shot. England has one of the most impressive rosters and a lot of depth in the national squad midfield, but no room for aging players that rest during the spring. 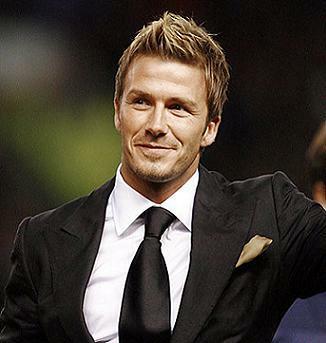 So Becks will be in Italy to make a push for fourth place Milan in order to please Fabio Capello. And Milan will likely not mind having a productive player that is well known for feeding the ball to star strikers in the middle of the box. Becks only had two goals in his eighteen matches for Milan last season, but Leonardo knows that what Becks brings to the squad is more important then any stat line. Becks provides young players like Pato more goal scoring chances simply because he is an excellent crosser and game manager. Milan has turned it around recently and with this key addition they should remain a top four squad for the rest of the season.